Signature Cheese Knife: This sturdy knife feels heavy in the hand, indicating its quality construction. Torrone: A nougat dessert enjoyed throughout Italy. 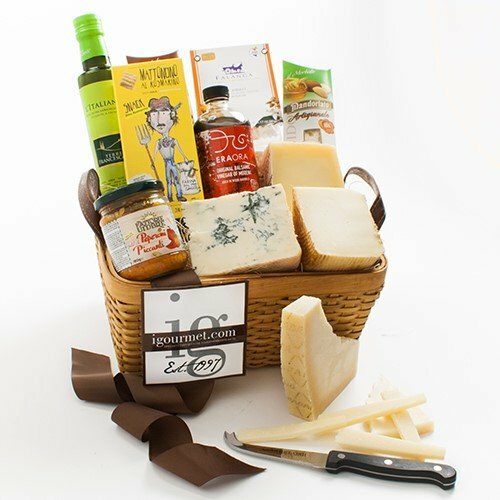 Gift Presentation: This beautiful gourmet gift is hand assembled in an oval basket and wrapped with a decorative dark brown ribbon.